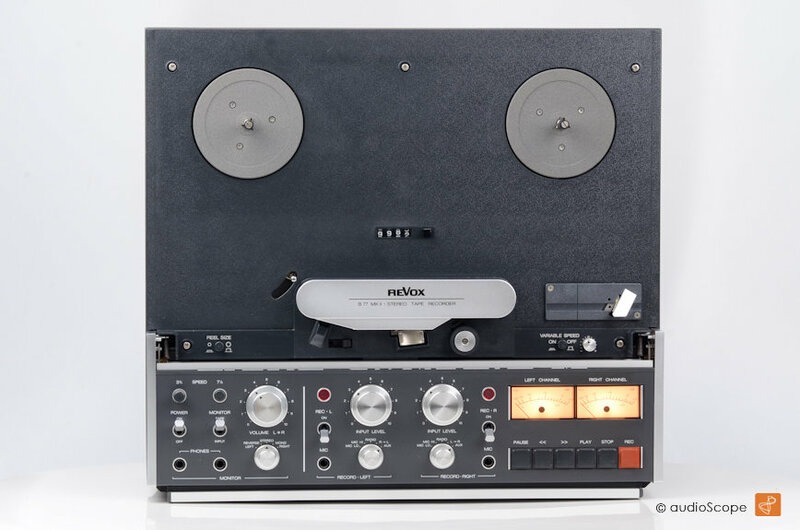 Revox B-77 mkII 4 Track, mint for sale. 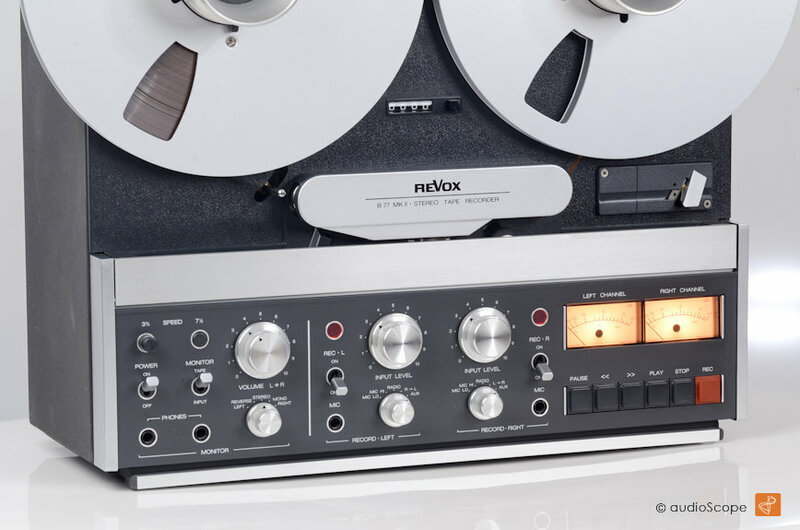 Extremly wanted version of the legendary Revox B-77 mkII with quarter track technology. 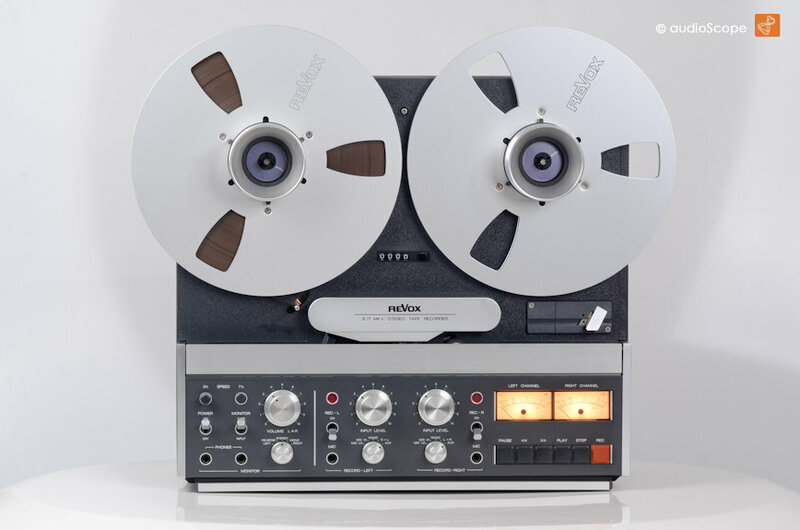 Superb recording results are standard. 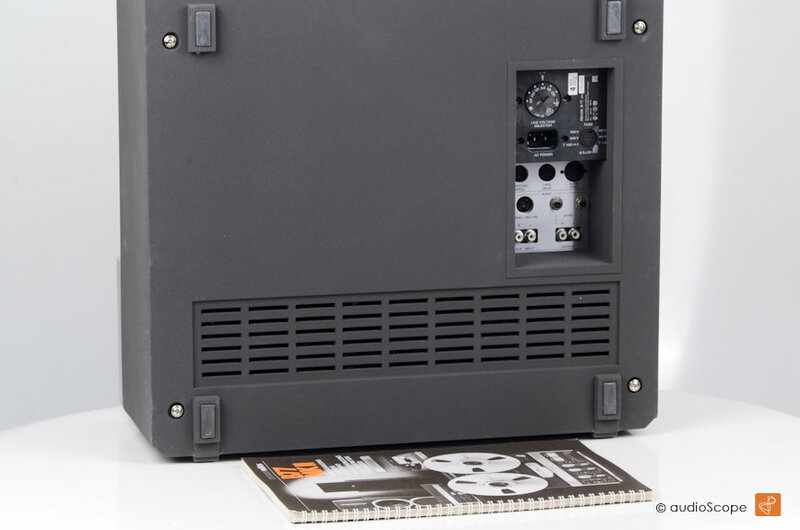 The MK2 version has an additional pitch controler. The optical condition is mint, the Nextel Painting brand new. Technically, in "time machine quality" as well. It comes from non smoking owner and will be delivered with the original owners manual and schematics. Heads and tape guide mechanism without signs of wear. Max. 50 hours playing time. 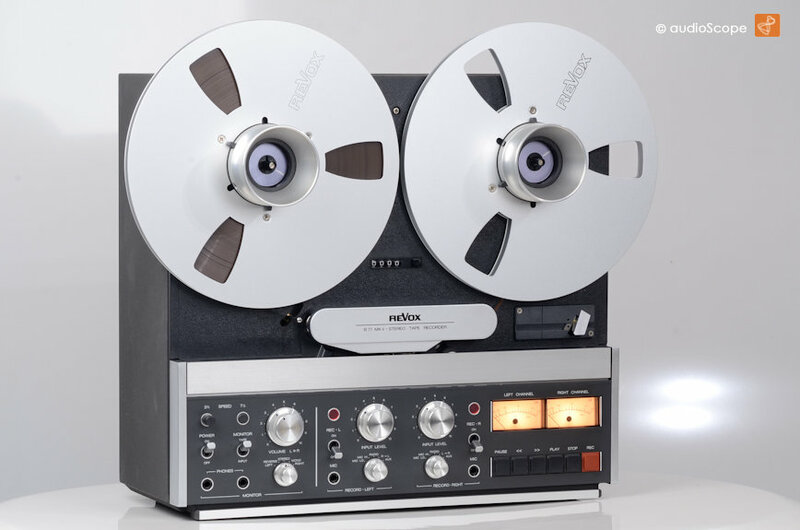 Unit comes WITHOUT NAB´s and reels! TIME MACHINE QUALITY.